I don’t claim to know anything about music. I mean I can’t read music, write music, even play music. Although I do a mean air guitar. It took a good session and a good talking to by a good friend to realize that I was even a left-handed guitar player (as a 34 year old playing Rock Band). But since recuperating from that little setback, I do a mean air and chair guitar. If I could layer some music from my iPod into the tutorial videos that I do, I am sure I would. Regardless, I cannot play music. The above is, as far as I am concerned, their single greatest song. 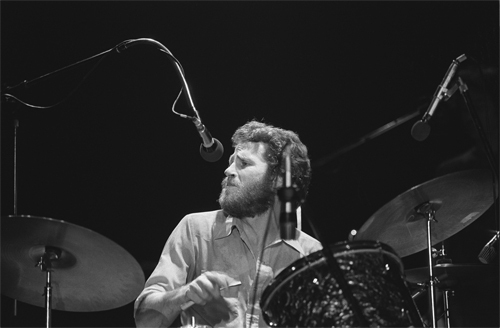 Levon plays the drums and sings and Robbie sings and plays the guitar. They work so well together it remains one of my favorite tracks to listen to on my sofa on a Friday evening after a long week. It is the music I like to blog to; if higher praise exists, I certainly don’t know of any. The above song has a personal connection to me, one certainly unintended by the musicians themselves. It is the song I listened to on my ridiculously early bus ride my last year in Seoul. It was an easy trek from Gangnam, roughly round the Gangnam Subway Station (강남역). I would hop a bus with the drunks at 5:00 in the morning and make my way to Jongno (종로). I would hop off and avoid more drunks and head to work. I was managing at that time in my life, hence the early bit. I thought it was necessary to literally be earlier than any single person in my building (I still do this). At Gangnam, I would elbow my way for a seat, even at 5:00 AM, and, as the drunks were slow on their feet, would usually get one. I would then listen to my iPod and drift away. And this what I drifted away to in 2005-2006. Thank you for your impossibly high falsetto, Robbie. It really helped me a few mornings as we were gearing up for some monumental change. As hard it is believe, coming back to the States was much more difficult than leaving for only two reasons; we weren’t as young or desperate. * Levon Helm is the narrator and the friend of Sam Shepard in The Right Stuff, and for that I will love him forever. No, you are! Oh wait, that doesn’t work after what you said. Take care, Melissa!